Published: Dec. 4, 2011 at 06:31 p.m.
(7:58) K.Barnes reported in as eligible. 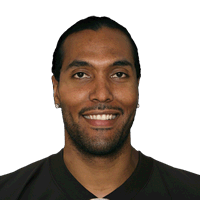 C.Palmer pass deep right to T.Houshmandzadeh for 40 yards, TOUCHDOWN. Published: Dec. 4, 2011 at 04:01 p.m.
T.J. Houshmanzadeh catches his first touchdown pass as a Raider on a 40-yard grab in the fourth quarter.